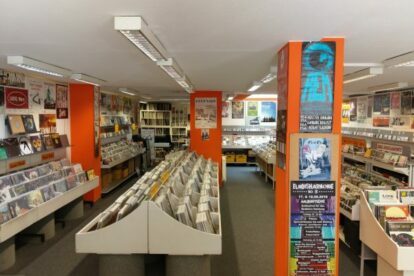 Welcome to one of Hamburg’s oldest and best-sorted vinyl shops, located directly in the downtown district close to the main train station. You feel the very friendly atmosphere immediately once you enter the shop and you smell what vinyl-lovers love to smell – vinyl! The staff is always happy to help you out and you can feel that they love their job. Take your time and listen to some of their recommendations, or lose yourself in going through their diverse inventory. They have new releases as well as older stuff and you can find second-hand vinyls or CDs for fair prices. One thing that makes this store special is that they have window-concerts every once in a while. I saw Nada Surf playing in this little place before they had their big concert, for example. This kind of intensity is something you cannot find anywhere else. So if you are interested in music and are still (or again) on the vinyl hype train, you have to check out this little gem!